It’s always a good idea to give people options. In e-Commerce, especially in Nigeria, it’s very important to have multiple payment options for your online business. In this post, we will be sharing with you 4 standard payment methods that you can use for your e-commerce website. This is the most popular payment option in Nigeria. This payment option allows your customers to pay directly into your bank account after placing their orders. This payment method is especially useful for customers that aren’t comfortable paying with their cards. Bank transfer has also been made easy by banks – customers can easily transfer the money via USSD code or internet banking. Instead of having to follow-up on customers that chose the ‘Bank transfer’ option, here, customers just complete the entire transaction online. Of course, for this to work, you must have at least one online payment gateway integrated on your website. There’s nothing wrong with having more than one. This one isn’t so popular, but is very useful for both customers and business owners. An e-wallet enables customers have some funds stored in their ‘account’ on your website. Whenever they place an order, the cost is then simply deducted from their ‘wallet’. This option is convenient for customers that make a lot of repeat purchases in that they don’t have to make payments each time. 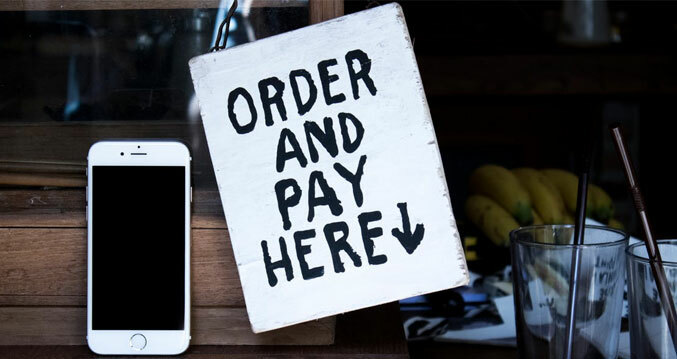 For businesses, this is particularly useful for handling returns; instead of sending the money back, you can simply credit the customer’s wallet, so they can use in when next they order. Businesses do not like this option, but customers do! Cash on Delivery, as the name implies, means your customer will pay in cash (or with POS) when their orders have been delivered to them. They won’t be required to make payment on your website but in person. A lot of people aren’t comfortable shopping online because of internet frauds and scammers, so “cash on delivery” payment option is safer and secure as they get to see the products they ordered for before making payments. The drawback for businesses, however, is that even customers that aren’t ready to purchase use this option, causing waste of time (and money) for the business owner. We’ve shared the 4 standard payment methods you can consider for your online store. You can use one or more of these payment methods. We recommend you have at least two options. Simply determine the payment methods your customers prefer, and what works best for you as a business. Are you interested in discussing how we can help you with e-commerce development or Digital Marketing? Contact Us today. Do you have questions or comments concerning Sales or Digital Marketing? Feel free to leave a reply below.